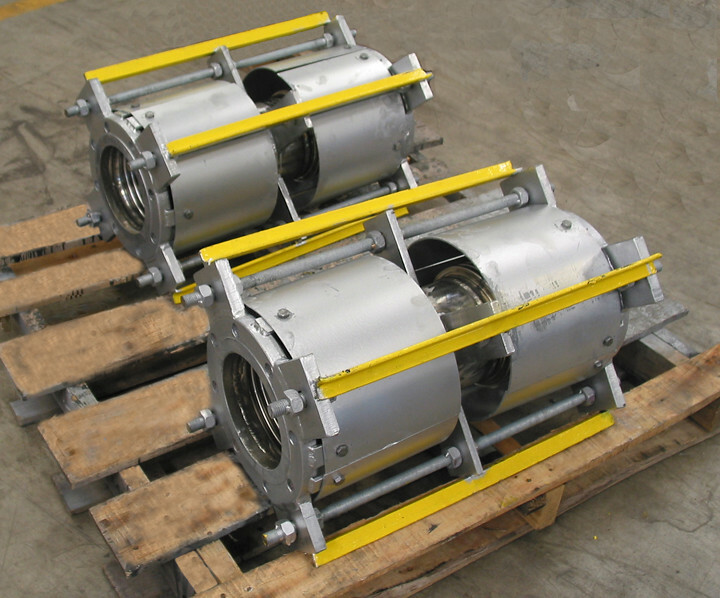 U.S. Bellows, Inc. recently designed and manufactured eight 6″ diameter tied universal expansion joints with 24” F-F. 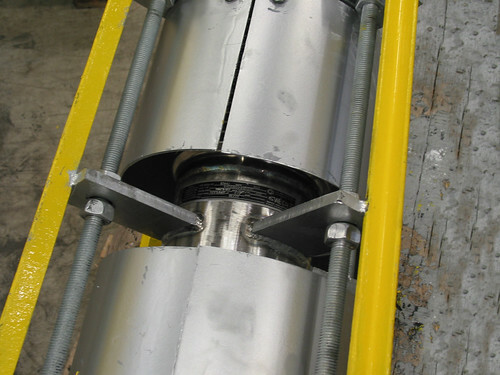 These expansion joints are made from two-Ply Inconel® 625 bellows, A312 TP 304 spool, and A105 flange. They are designed for FV/50 PSIG and 300°F with axial and lateral movements of +/- 0.25″ and 0.70″, respectively. The joints were 100% X-Rayed, 100% Dye-Penetrant, and hydro-yested at 75 PSIG. Flanges, tie rod, and spherical nuts are hot dip galvanized per customer specification.